Tired of disposable zombies, Creeper, skeletons? 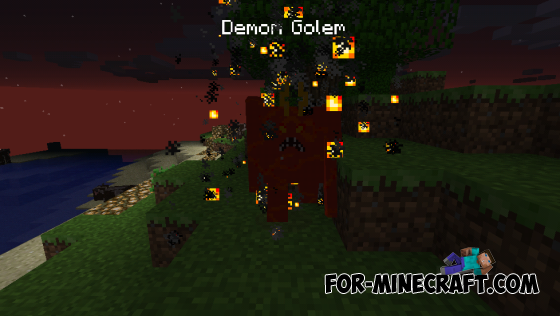 Then this mod diversifies your world! He adds more demons in the game. His urge to write in chat / GiveGolem. Check your inventory, there you will find an egg to spawn this golem. Tap them in any place and he spawn!